So here we are, almost a month after the event. My sentiments are now more nuanced and tempered, and much less effusive than the day (or the week) after the show. I would still give the concert a 10/10 rating, though – from stage design, production management, all the way to showmanship, there really is very little to criticize about the whole experience. Let me just say that I am not your regular concert-goer or music festival attendee. My evening started with an exclusive interview of the brothers, Joel and Luke Smallbone. I missed most of the other acts in the festival – a consequence of being backstage for SAVED Radio DJ duties. (I really can’t complain since I got to get some airtime with the top-billed artists before anyone else saw them onstage.) But a quiet moment with Joel and Luke didn’t prepare me for the show that was about to happen an hour later. Most concerts are first about showmanship and performance art, and then musicality second (sadly). Burn the Ships, however, was all three in equal measure. I do not have extensive musical training or event production experience. But that night is what I consider one of the best put-together shows by one of the most musically-gifted groups I’ve seen. The stage setup was interesting, to say the least. It had platforms of varying heights, for instruments and musicians. The stage manager described it best – it was a playground for the band. 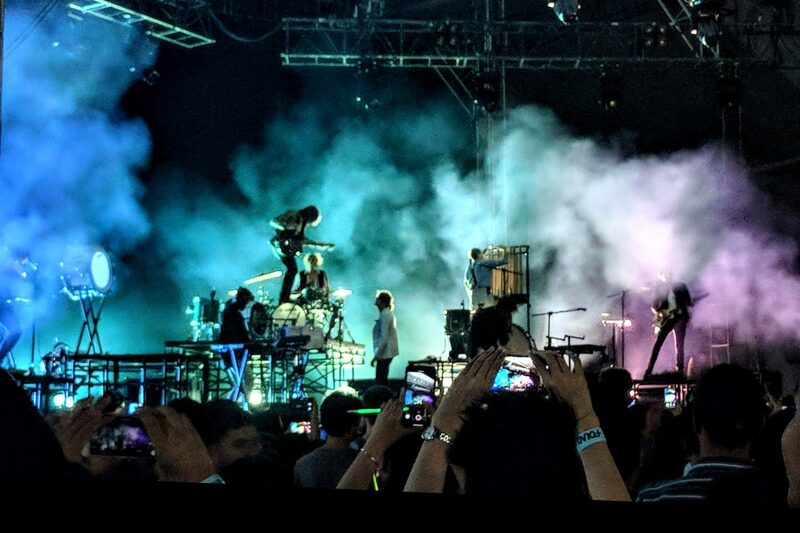 There were two drum kits, one tympanum, one bass drum, another tom (or perhaps a different kind of drum, I really would not know), chimes, two cellos, a keyboard, an electric guitar, a bass guitar… and sometime within the show, a trumpet and a trombone made an appearance. That’s aside from the snare drum that Luke often wears, and the marimba that had to be brought out towards the end. Very early in the show, Joel and Luke decided to get off stage walk amongst the crowd. They sang on the way to the platform set in the middle of the concert grounds, where their cellists were waiting. You can imagine the mini-mayhem that ensued as fans crowded close to the brothers. (Of course, I just hung back since I already shook their hands two hours earlier.) They have a way of connecting with the audience that doesn’t always happen with musicians. They’re the type of guys who are so down-to-earth, you wouldn’t think they were recording artists. It’s no wonder they can get the audience to sing and dance along with them, even if some haven’t heard of them before. Between the two brothers, I would say Joel is the natural performer. (Take a look at my videos and photos if you don’t believe me.) He’s the flash of lightning, while Luke is the rumbling thunder. It’s a combination that works for them. The rest of the band are equally good performers and of course, talented musicians. The band was pretty calm during this portion of “Run Wild”. Joel climbing trusses at the opening verse of “Shoulders”. What I especially appreciated about this concert is the aural experience. With the ridiculous number of instruments being played, you can’t help but be in awe of the sound that meets your ears. The music is rich and textured, so unlike many of the pop anthems that we hear nowadays. It has a bit of an experimental feel to it, too. Throw in a cello here, try a marimba there, and let’s put two snare drums to shake things up a bit. The layering of sounds doesn’t end with the instruments. The vocals also stand out. (Yes, the band members also sing back-up. Whuuuut?!) Hearing the music is one thing, but when you actually see it being put together before your very eyes – something magical happens. Thank you, Joel, Luke, and for King & Country. It was unforgettable. Previous PostPrevious Light a Match.